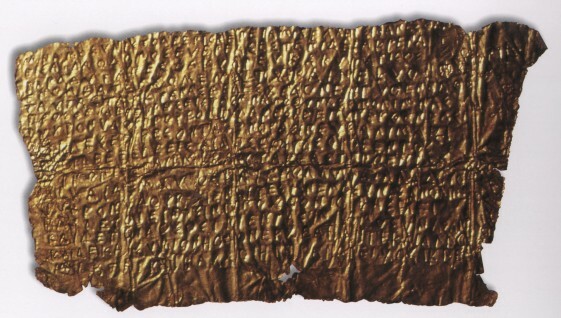 The so-called Orphic gold tablets – what are they and what do they tell us? The question of how ‘mainstream’ Orphic religious practices were in ancient Greek society. 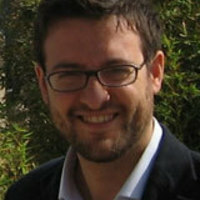 Miguel Herrero de Jauregui is a member of the Department of Greek Philology and Indoeuropean Linguistics at the University of Madrid. His Academia page contains many wonders relevant to the discussion in this episode; he is interested in the theme of katabasis, in Dionysus and his many cults, in ancient philosophy, and has done some really interesting work on the themes of conversion and salvation in ancient Greek culture. Otto, W. F., 1965. Dionysus: Myth and Cult. Indiana University Press, Bloomington/London. Rohde, E., 1895. Die Religion der Griechen. Universitäts-Buchdruckerei von J. Hörning. West, M., 1983. The Orphic Poems. Clarendon Press, Oxford. Bernabé, A. and San Cristobál, A. J., 2008. Instructions for the Netherworld: The Orphic Gold Tablets. Brill, Leiden/Boston. Michael Chase, trans. Edmonds, R. G., 2013. Redefining Ancient Orphism: A Study in Greek Religion. Cambridge University Press, Cambridge. The inscriptions found on the Orphic bone inscriptions from Olbia, which seem to refer directly to people known as ὀρφικοί, can be seen on this page.